Earn $75.00 in VIP credit (7500 points)What's This? 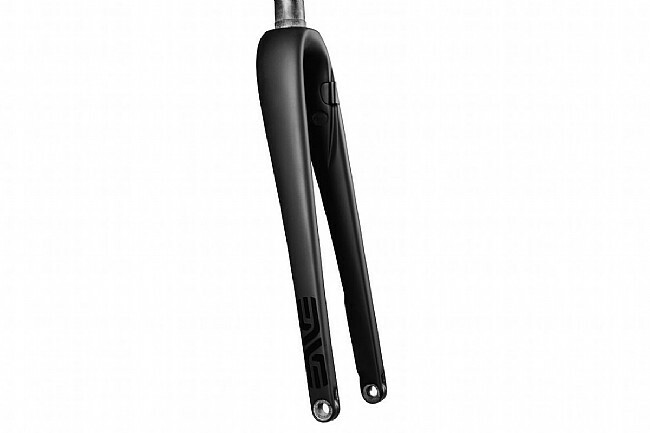 ENVE's All Road Disc Fork is specifically designed to provide the versatility and tire clearance needed for mixed-terrain riding. For adventure riders that are going off the beaten path and tackling unpaved rides in the wind and wet, the 700c fork has a clearance for 38 mm tires and a detachable carbon fender that snaps into place in seconds without the need for any tools or adjustment. 100% unidirectional carbon construction makes for a lightweight design that provides incredible strength, and the 12 mm thru-axle dropouts allow for optimum stiffness to increase control on rough rides. 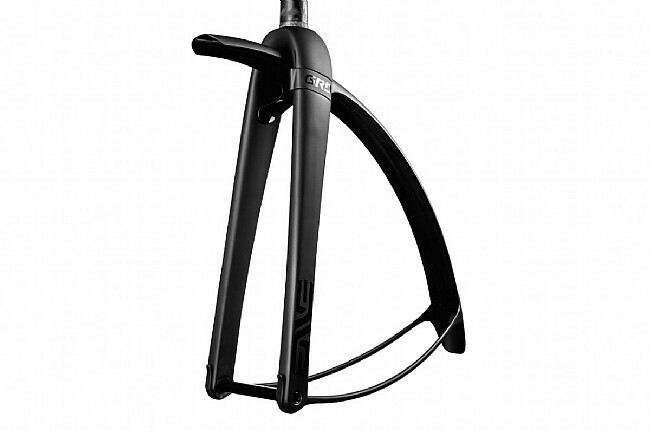 The ENVE All Road Disc Fork is disc-brake compatible only, with flat-mount caliper mounts and an integrated hose-clip for hassle-free routing. Claimed weight is 450 g. Accepts 140 mm rotors or 160 mm rotors with an adapter. 1 1/8" - 1 1/4" tapered steerer (400 mm length). 382 mm axle-to-crown. 47 mm rake. 12 mm x 100 mm thru-axle dropouts. Includes fork, fender, thru-axle, and ENVE compression plug.